In the video above Charles describes some of the educational changes needed to help individuals and societies to tackle our key challenges. Below are excerpts from the Center’s website and a White Paper. Learn In The 21st Century? The mission of the Center for Curriculum Redesign (CCR) is to answer this timely question, and openly propagate its recommendations and frameworks on a worldwide basis. The CCR brings together non-governmental organizations, jurisdictions, academic institutions, corporations, and non-profit organizations including foundations. The last major changes to curriculum were effected in the late 1800’s as a response to the sudden growth in societal and human capital needs. 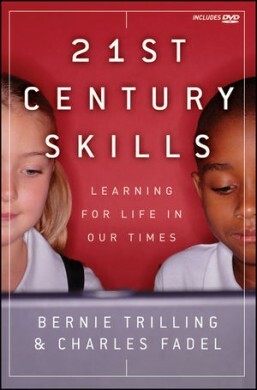 As the world of the 21st century bears little resemblance to that of the 19th century, education curricula need to be deeply redesigned for the full triad of Knowledge, Skills, and Character, and keeping in the forefront the fourth dimension of Metacognition: learning how to learn, interdisciplinarity, etc. Adapting to 21st century needs means revisiting each dimension and the interplay between them. In the 21stcentury, humanity is facing severe difficulties at the societal (global warming, financial stresses), economic (globalization, innovation) and personal levels (employability, happiness). Technology’s exponential growth is rapidly compounding the problems via automation and offshoring, which are producing social disruptions. Education is falling behind the curve as it did during the Industrial Revolution. This is not about shiny objects, but about attributes along the lines of volatility, uncertainty, complexity, ambiguity, coupled with the impact of technology? 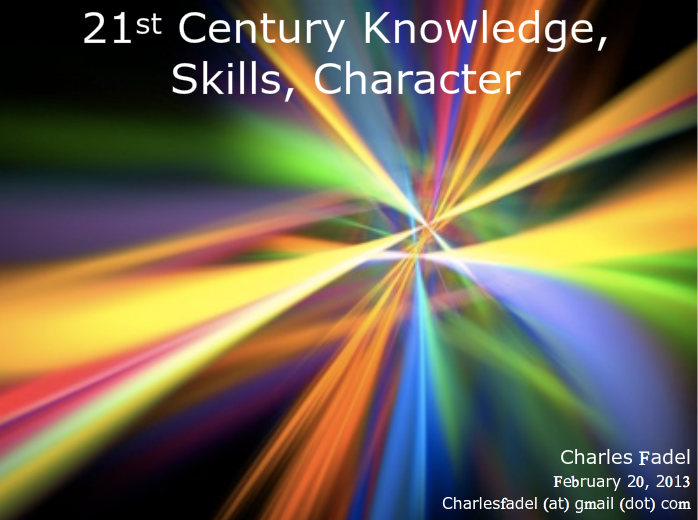 What should students learn, and schools teach, to be successful in the world of the 21st century? Both formal and informal education need addressing, and the interrelationships between the two. What are the feedback loops between the What and the How? For instance, what should foreign language teaching become in an age of automated machine translation? What kind of Mathematics should be taught given availability of computing power? What are we learning from the Neuroscience of education? How do we improve assessments, and embed a lot more formative mechanisms? Curricula worldwide have often been tweaked, of course, sometimes to a large extent, but have never been deeply redesigned for the full triad of Knowledge, Skills, and Character, and keeping in the forefront the meta-layer/fourth dimension of: learning how to learn, interdisciplinarity, personalization, etc. Relevance required: Students’ lack of motivation and often disengagement, reflects the inability of education systems to connect the content to real-world relevance. Moral-related: integrity, justice, empathy and ethics. The challenges for public school systems are similar to those for Skills, with the extra complexity of accepting that Character development is also becoming an intrinsic part of the mission, as it is for private schools. How should students learn how to learn? What is the role of interdisciplinarity? What is the appropriate sequencing within subjects and between subjects? How do we develop curiosity? How do we facilitate students’ pursuing of their own passions in addition to the standard curriculum? How do we adapt curricula to local needs? Here is a video in which Charles describes what we should learn for the age of Artificial Intelligence.